Dwayne Johnson, a former WWE star who is now a celebrity and a megastar will be featured in an upcoming movie next year. Dwayne Johnson aka The Rock will play a supporting role in the movie Fighting With My Family. The Rock just finished working with his movie Rampage and Skycraper. 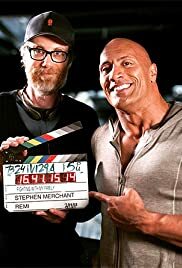 Fighting With My Family is directed by Stephen Merchant which mainly focuses on the career of WWE star Saraya-Jade Bevis also known as Paige. We are also excited to see other huge stars like the Games of Thrones star Lena Heade as Julia Bevis and Nick Frost of Tomb Raider as Patrik Bevis. Both of them will be playing a huge role in the movie as parents of Saraya together as well with his brother Zak Bevis (Jack Lowden), all these individuals are very popular pro wrestlers from United Kingdom starred the movie to give life Fighting With My Family. However, the movie was initially expected to be released in September but was moved to next year. If you are a fan of WWE then this movie if you and by the way this is expected that this movie has a great story on it and you will have a great time when you watch the movie in theater.